Fr. Walter Butor OMI, Ms Patti Radle and Fr. Jose Ponce OMI represented the U.S. Oblate JPIC Committee at the recent World Social Forum (WSF) held in Dakar, Senegal, February 6-11. Oblates from other regions also attended. In a note from Ms Radle described her experience: “It is very emotional and encouraging to be around thousands and thousands of people who are so sincere about making a better world and seeing beyond borders.” The World Social Forum is an annual summit held by non-governmental organizations, civil society members and religious leaders working to create a more sustainable and equitable world. 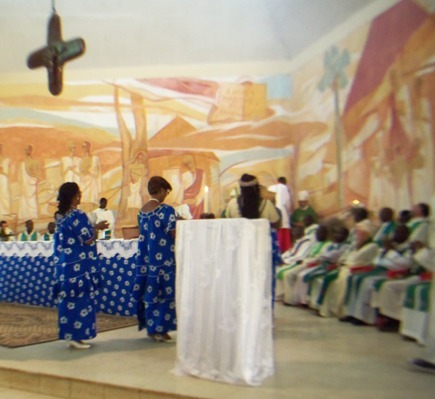 Mass at the cathedral in Dakar. 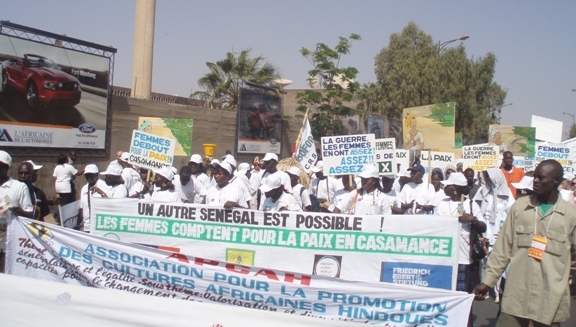 The Bishop of Senegal gave a blessing and prayers for those attending the World Social Forum. Oblate JPIC General Service Director Fr. Camille Piché OMI hosted an informal inaugural gathering for Oblate participants to convey expectations and a debriefing session following the forum to share experiences. Oblates participate in the World Social Forum in order to express solidarity with the thousands of participants meeting to both share concerns and explore effective responses to a diversity of issues, from globalization, ecological sustainability and trafficking of women and children, to trade relations of nations, extractives industries and indigenous peoples’ issues. 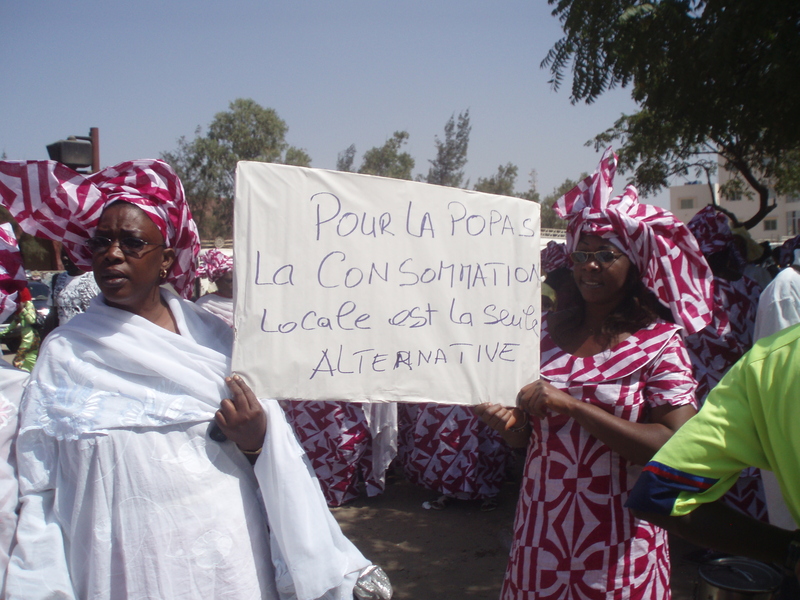 Thanks go to the Oblate Province in Senegal which provided hospitality to the Oblate participants. Thanks to Patti Radle for the photographs.